The Four cornerstones of my coaching philosophy (and general outlook on life!). I truly believe that if we take care of these elements of our well-being then we are well on the road to finding a happier and healthier life... so here's a bit more about it! We all know that eating well is important to us Mums both physically and mentally but how often do we focus so much attention on the needs of our family and neglect to take care of ourselves. When I had my baby, there was plenty of advice around about looking after him but I put very little emphasis on my own health and wellbeing. I remember when I was weaning, I tried to do everything by the book – avoiding sugar and salt and buying costly organic ingredients for all his freshly prepared home cooked meals. Meanwhile my own diet had a heavy emphasis on caffeine and sugar, both of which I relied upon to keep me going during the hazy days which followed those sleepless nights. Now I know how easy it is to neglect the importance of your own nutrition but tackling this head on was the single most important step to my journey back to me and as a trained nutrition coach this now forms a major part of my coaching. My nutrition coaching is built around understanding the limitations of your busy life and the nutrients required to keep you healthy and happy from the inside out. You are tired, I know. Each store of energy is precious, I know. The last thing you may want to think about right now is how to fit exercise into the already busy schedule you have for the day. It's important to be gentle with yourself and your body after having a baby. The focus on your fitness as a new mum should be about helping your body to heal, boosting those energy stores and getting the endorphins flowing. Try not to focus on weight loss, give your body time, it may take a while so be patient with yourself. Understanding your new relationship with your body is also key to feeling good about yourself. We all wish we could say we didn't care but if we are honest most of us do! Learning how to channel these emotions and thoughts in a positive way results in a positive body image and and when you feel great... you look great! You don't have to join an expensive gym or sign up for a 10K run, its all about getting your body moving, setting yourself realistic goals to work towards and most importantly incorporating exercise into your busy life as a mum. Get your body moving! It not only helps physically but mentally too, so stop standing in your way - you can do this! My health and fitness coaching is grounded in understanding your needs as an individual. You are much more likely to stick with it if you enjoy it and feel better for it. Combine this with the right nutrition and positive self-image you can take on anything! You may feel useless, guilty, fearful, anxious, worthless, unlovable. Just remember these are feelings and not facts - don't believe that just because you feel like crap, you are! As a new Mum, your feelings and emotions can be overwhelming (even the good ones). You may be wondering what the hell has happened to the once strong-willed, in control woman you used to be, and who the hell is this emotional wreck that has taken her place? Please take my advice, you are not the first, you won't be the last and it won't last forever. Understanding and accepting our feelings as just that is an important adjustment to being a Mum. Be kind to yourself, don't compare yourself to other people and seek help when you need it. I myself suffered from post-natal depression after the birth of my baby and it is a scary and lonely place to be. I thought this would never happen to me, I was a strong, healthy and mentally balanced woman, fully prepared for my new life as a Mum. In fact PND can affect absolutely anyone and a staggering 1 in 10 women in the UK suffer from post-natal depression after having their baby. It can affect Mums differently at different times, can come on suddenly or gradually. There is no checklist or test that can confirm whether or not you are suffering from post-natal depression. Admitting to yourself that you may be suffering with PND is hard, let alone then confiding in anyone else but as soon as you can acknowledge it, you can start on the journey to changing it. I am so passionate about helping women with post-natal depression but I am not a GP, a therapist or counsellor. What I can do is empower you with the strategies to tackle this head on alongside my support and guidance but if you feel like you need much more than this to help you I urge you to go and chat with your GP. All of a sudden we are a 'Mum' as well as an individual and the things that once made up our identity have fallen by the wayside which can lead us to feel that somewhere down the line we've completely lost sight of the person that was 'Me' before we became 'Mum'. The good news is, the two can and should co-exist. It's so important that we have a strong sense of self or we may begin to feel resentful, lacking in confidence un-happy. Are you wondering why all of a sudden you constantly want to punch his lights out? Maintaining your relationship after having a baby takes time and energy (yes, in short supply right now) but working on your relationship pays off! Less energy arguing and feeling resentful and more time to enjoy each other and your family. My coaching can help you to understand and deal with your feelings and thoughts of becoming a new mum. We will call a meeting with that negative committee that meets inside your head and tell them to sit down and shut up! So, you've found yourself at this pivotal moment in your life with your adorable baby and it may or may not be how you expected it to be. It's difficult to look ahead to the future when you can't think beyond just getting through the day but having a baby does not mean that you have to give up on your dreams and ambitions. Yes, they may have changed, you may not even know what they are anymore but be assured that you can have a fulfilling life and be a great Mum. We are allowed to do both. Returning to work is a major concern for many women I work with. 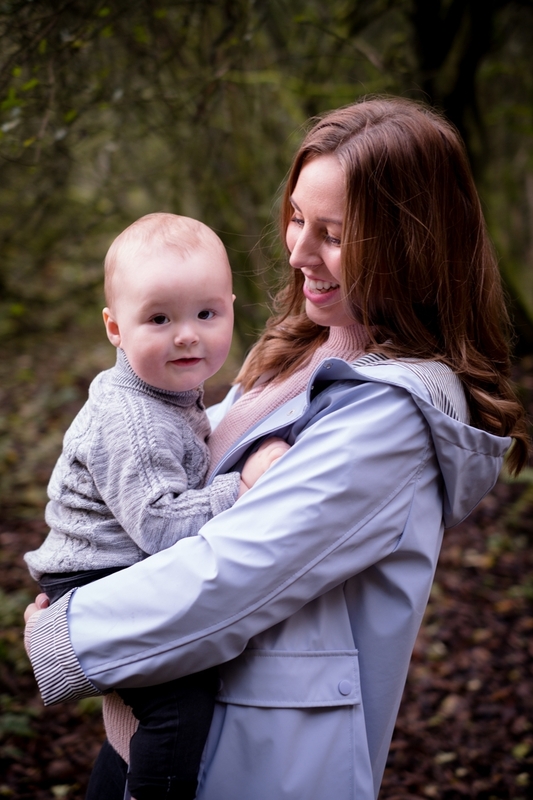 Maternity leave can feel like a ticking clock and aside from the practicalities of work and life, there is also a great deal of anxiousness and uncertainty around this moment. Will I be able to cope? Will I feel ready? How will I feel leaving my baby? Decisions over childcare, expectations of work - the list goes on! You may not even feel like you want to go back to the job you did before but what do you do? How does it work financially? Life is not just work, its about creating a life that makes you happy, that fulfils you, a life you want to live. Many Mums just feel 'stuck' have a lack of direction, know that they want to create a different life but are not sure how to achieve it. My coaching helps you to figure it out; what you now want from life and most importantly how you are going to achieve it. Bridge the gap between your dreams and reality with ACTION!